These Soya Milk Machines have capacity to produce 2000 Liters of Soya Milk per hour. Also this system provides real-time monitoring of soy milk yield to maximize it by optimizing operating parameters. This Machine has a low installation and commissioning cost. These Soya Milk Making Machine have capacity to produce 4000 Liters of Soya Milk per hour. They are suitable for integration with large-scale aseptic and pasteurized product packaging lines and for making spray dried soy milk powder also. 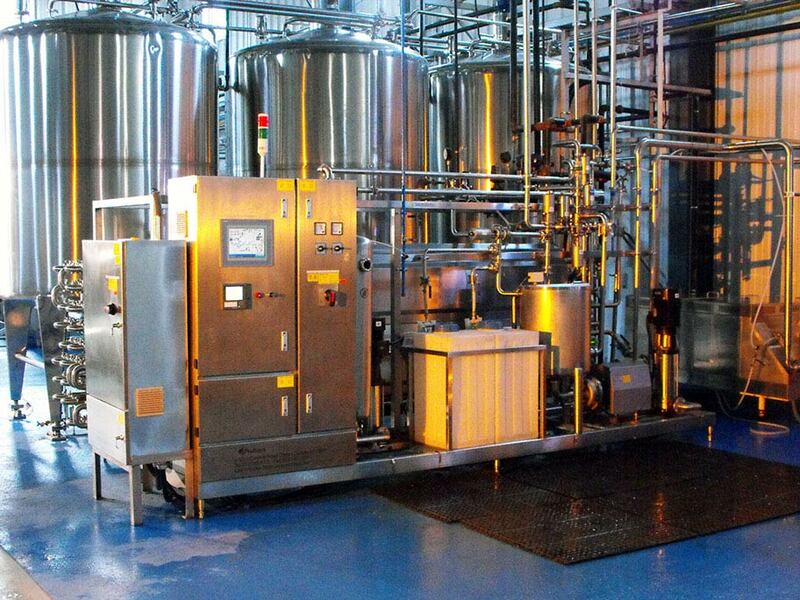 These Falvoured Soya Milk Machine have capacity to produce 8000 Liters of Soya Milk per hour. They are suitable for integration with large-scale aseptic and pasteurized product packaging lines and for making spray dried soy milk powder also. These Commercial Soya Milk Making Machine have capacity to produce 10000 Liters of Soya Milk per hour. 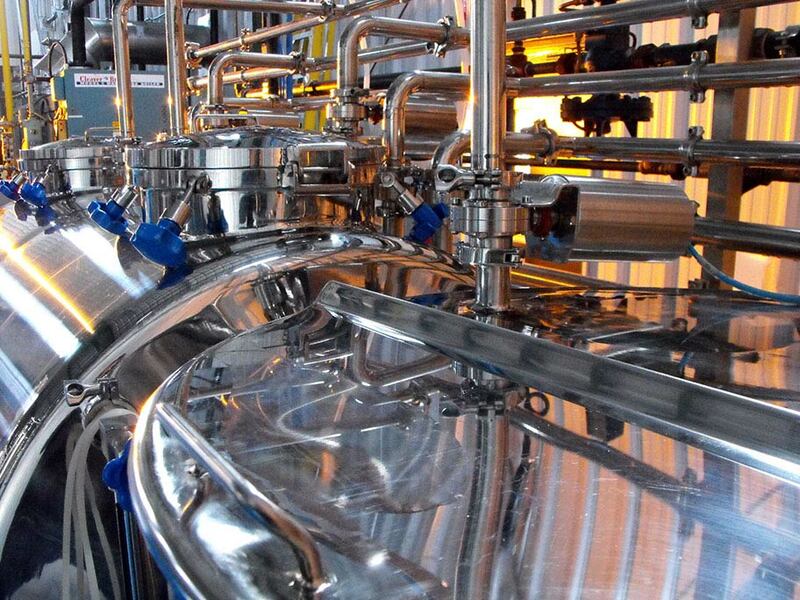 They are suitable for integration with large-scale aseptic and pasteurized product packaging lines. These system have real-time monitoring of soy milk yield to maximize it by optimizing operating parameters. These Soya Milk Processing Machine have capacity to produce 20000 Liters of Soya Milk per hour. These Machines can be monitored in real time. 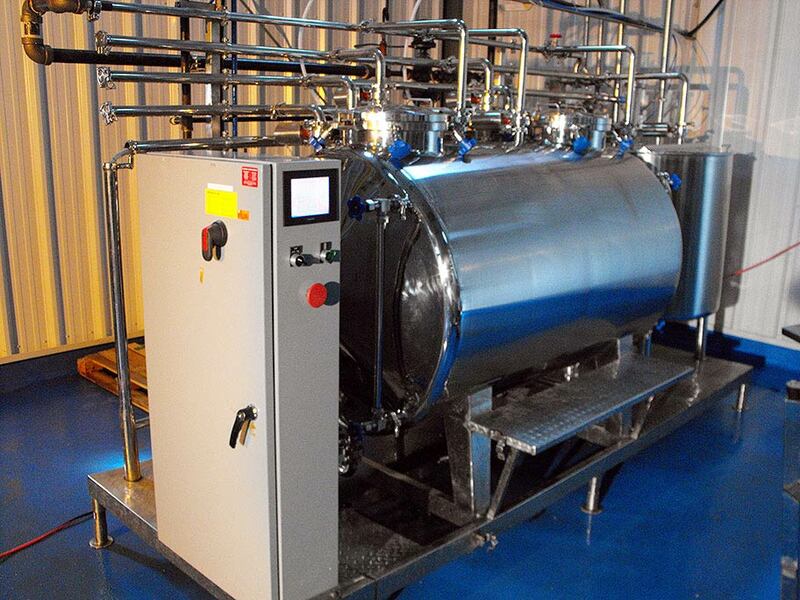 They are suitable for integration with large-scale aseptic and pasteurized product packaging lines. ProSoya is a manufacturer of soya milk machine or soya milk making machine with production techniques to give soy milk a flavor, taste and consistency more closely resembling diary milk. 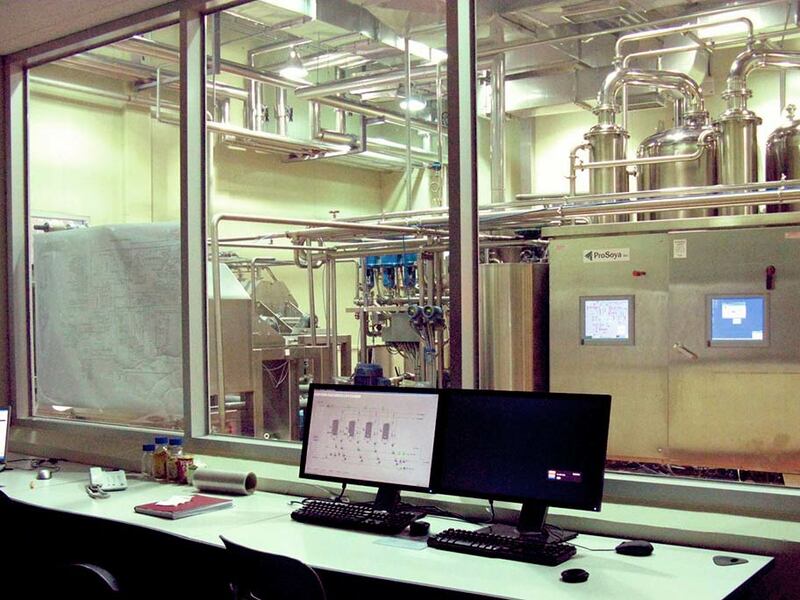 We offer advanced technology, machine and equipment for producing great tasting soya milk beverages, tofu, yogurt and other soy foods, similar to those produced by its existing customers and licensees in 40 countries. We also provide know-how for soy milk products, including low calorie soy milk beverages in ESL and aseptic shelf stable packaging, soy milk extract, cultured products, and frozen desserts. 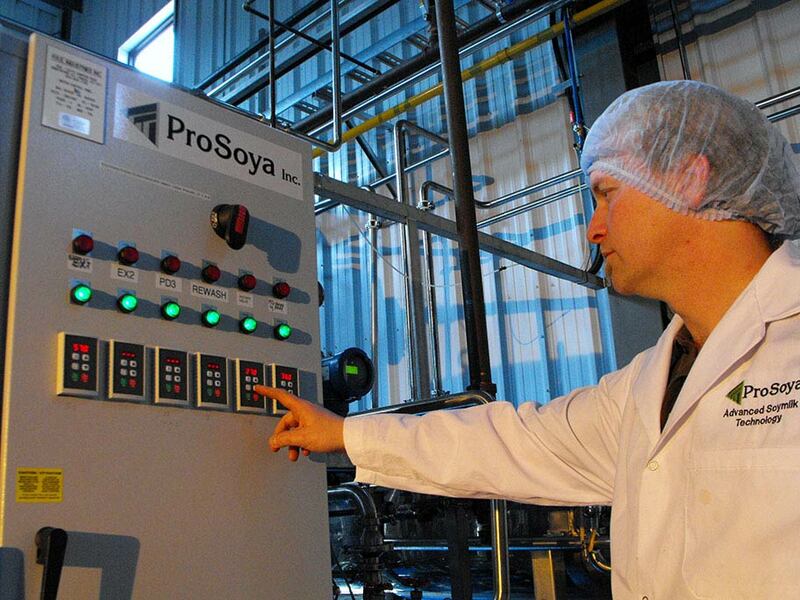 ProSoya technology used in its soya milk machine employs a patented process to produce a “non-beany” soy milk base of pleasant cereal-like taste. The lipoxygenase enzyme is responsible for the beany flavor of traditional Asian soya milk. The ProSoya process of airless cold grinding of soybeans in water keeps this enzyme dormant during the grinding phase to extract most soya solids in water. The enzyme is eventually inactivated along with the trypsin inhibitors while cooking the soya-water slurry. The process thus prevents the denaturing of soya protein and other solids and their adhesion to fibers in soybeans prior to or during their extraction into water, the problem common to all processes employing hot grinding of raw beans or cooked beans. As a result, the soy milk yield of ProSoya’s process is excellent while providing high product functionality. Oxidation free grinding means better nutrition quality. Any residual off-flavors are stripped with vacuum deodorization equipment, which is provided with all but the smallest systems. This has advantage when soy milk is formulated into certain beverages and is unnecessary if soy milk is to be used to make soy milk powder, tofu, deserts, etc. Produce 1,000, 2,000, 4,000, 8,000, 10,000 and 20,000 L/h of soymilk base at 10% solids or up to 40,000 L/h of soy beverages. These are the most advanced continuous production system with truly continuous soybean soaking system. They provide real-time monitoring of soy milk yield to maximize it by optimizing operating parameters. They are suitable for integration with large-scale aseptic and pasteurized product packaging lines and for making spray dried soy milk powder. The systems are shipped mounted on one or more skids depending upon the size of the plant and options desired. Larger system can be custom designed and built. There is a very low installation and commissioning cost for these systems. 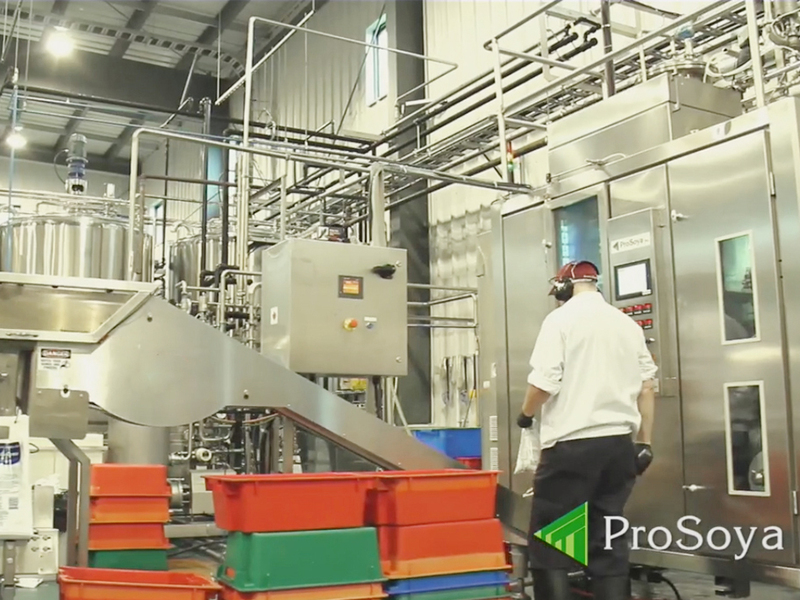 All ProSoya’s large continuous systems are designed, fabricated and automated to operate optimally at their rated capacities. Real time yield measurement for process optimization. Two-stage cooking allows soy milk base functionality control depending on down-steam processing. Soy milk base is high-pressure homogenized immediately after production for improved stability during storage and downstream processing. Includes a number of process and equipment patents including the “airless cold grinding” technology. Process parameter display and controls are automated using large display panels and touch screen inputs, and remote security protected access capabilities. Most process components and vessels mounted are on SS skids and systems are pre-tested before shipping for quick installation and commissioning. Patented airless grinding process prevents denaturation of protein and eliminates oxygen which permits grinding of beans in cold/warm water. Low oxidation means easy to formulate low pH juice soy blends, carbonated and cultured products. Upto 15% higher protein yield with lower calories. Flexibility for producing both beany and non beany flavors. Adaptive to hot grind, de-hulled beans and grits. Truly continuous bean soaking system. Low power and utility consumption leading to lower production cost. Pretested skid mounted system, saving time during erection and commissioning at customer premises. Plug and play system. Easy cleaning with CIP system. System built in accordance to world standards like USFDA, GMP, HACCP, CE etc. ProSoya provides complete solution for achieving the highest Palatability factor of soya milk products – acceptance by mainstream consumer, even by children. ProSoya solution yields the lowest cost products – better Price affordability factor by mainstream consumer. Produces a smooth, neutral tasting, nutritionally superior soy milk base. Consumers get all the benefits of whole soy including the micro nutrients from the soy bean hulls. Produces a non-beany soya milk base with smooth mouth-feel, excellent protein yield, and high functionality. ProSoya soy milk does not leave a chalky mouth-feel or bitter aftertaste present with most processing methods. The soya milk base makes excellent beverages, yogurt, ice cream, tofu, etc. The soya milk base can also be concentrated and spray-dried to produce a soy milk powder with high solubility and dispensability in water. No chemical treatment or additives. Uses any good quality soybean without de-hulling and still makes an excellent soy milk base.